Home / Branding / Business Updates / Fashion / Interview / Phoenix Exclusive : Retail Icon Mr.Hetal Kotak share the future plans for his Plus Size Brand aLL. Phoenix Exclusive : Retail Icon Mr.Hetal Kotak share the future plans for his Plus Size Brand aLL. 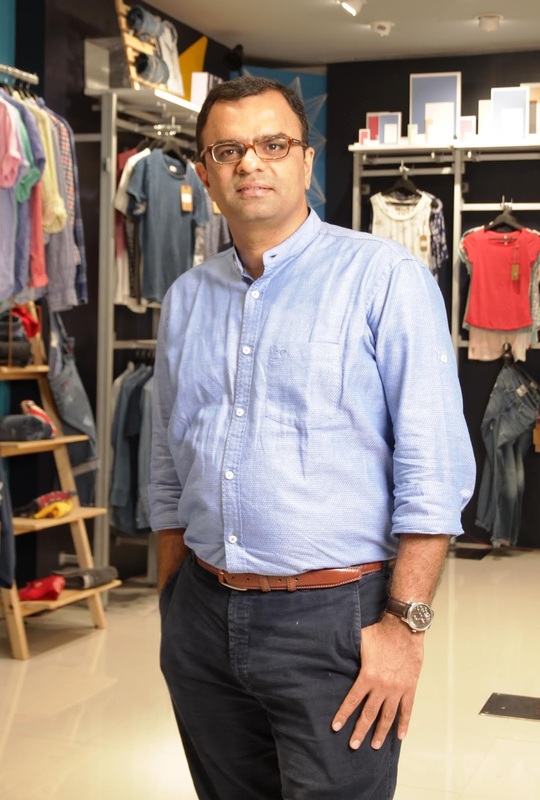 Mr. Hetal Kotak is the CEO of aLL Plus Size Store and Lee Cooper at Future Lifestyle Fashions Limited. He is a Textile Engineer with certifications in “Strategic Leadership Program” from the Michigan Ross School of Business, “Finance for Decision Making” from IIM-Bangalore & “Brand Management” from the Indian School of Business, Hyderabad. Having started his career with “Arvind Mills Ltd” in 1997, Hetal has traversed through & experienced varied aspects of the business. The early years of his career gave him an opportunity to extensively travel across the globe. 1) What inspired the creation of the brand? aLL - The Plus Size Store has been the pioneer of Plus Size Fashion in India. Having identified the gap in plus size offerings, it came into existence in 2005 with a sole objective of giving fashion freedom to plus size people. With everything that one needs in terms of fashion, aLL is a one stop destination catering to all the fashion needs for a plus size individual. 2) What future plans do you have for the line and how do you plan on expansion? Besides this, aLL is a one stop destination for every fashion need of a plus size individual and we offer them everything fashion with the latest styles, silhouettes & prints. We reach out to our customers through a wide network of 71 exclusive stores, 37 shop-in-shops in Central & 12000 pincodes through allonlinestore.in & give them everything fashion under the sun! 3. Tell us a little about your (aLL) association with Narendra Kumar. How did that come about? We were looking for a designer who is an expert in creating high street fashion for our plus sized customers in well-cut styles and we could not think of anyone more befitting than Narendra Kumar. His great sense of style, visionary outlook and design sensibilities aligned perfectly with our expectations. 4. This is the third edition that aLL is showcasing at LFW. How important do you think it is that inclusive clothing finds it's way into fashion week? aLL - The Plus Size Store’s motto is to give fashion freedom to plus size people. With a strong belief that size is just a number and fashion is for everyone, aLL has revolutionized Plus Size Fashion by collaborating with Lakme Fashion Week. The association has elevated fashion for plus size individuals to a new level. We have had amazing response from the previous editions of the show and the industry is warming up to the idea of fuller frames walking the ramp & accepting inclusive clothing at large. 5. What does size inclusion mean to you and why was it important to make sure that fashion is accessible to a range of women? Fashion is the truest reflection of who you are and what you believe in - irrespective of what size you wear. At aLL – The Plus Size Store, we have always believed that ‘Fashion is for one and all’. We promote body diversity and cater to both men & women who are big, bold and beautiful, so that they get the confidence to flaunt their unique curves & feel comfortable in what they wear! 6. What are your thoughts on the term plus-sized? In general, plus size means people of sizes 10 and up. But at aLL, we look at plus size as a set of people who are big, bold and beautiful. With our collection, we like to empower men & women of all sizes & give them freedom to wear well stitched, trendy clothes in their sizes.